The three nations that make up the fair isle of Great Britain England, Wales and Scotland are a collection of varying lands with starkly different cultures. However, over the years we have joined forces and something that we all have in common is being under the collective banner of Great Britain. 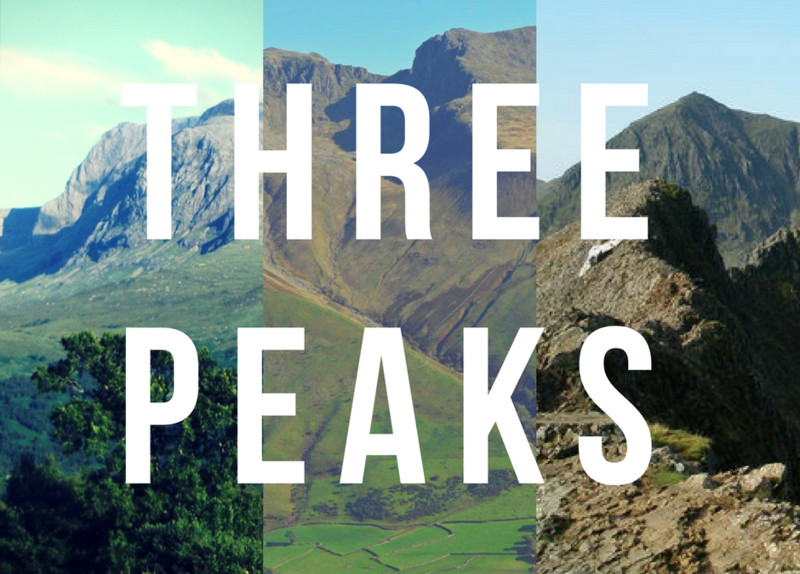 As a celebration of our collective beautiful scenery, some take it upon themselves for conquering the three highest peaks all across this island – this is known as The Three Peaks Challenge. This includes the highest mountains in England, Wales and Scotland. This is it – the big kahuna. Lording over all other peaks on the island of Great Britain it’s the Scottish giant known as Ben (no not the clock – it’s even bigger than that!). 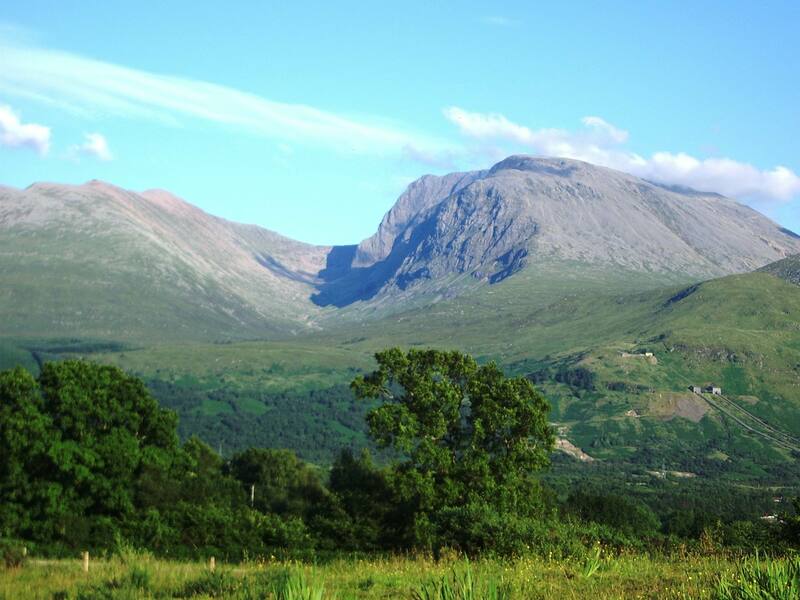 Ben Nevis is an absolute titan of a mountain, measuring in at 1344m. The path that you will follow was built to service the meteorological observatory of which remains are still present today at the summit of the peak. The walk to the summit takes about 2.5 hrs with 1,370m of ascent. When you summit you’ll have the chance to enjoy the breathtaking view of the Scottish highlands. The descent then takes another 2.5 hrs. When you arrive back in Glen Nevis you’ll have a chance to chow down on some food before jumping on the minibus for a little sleep and rest. It’s a 6-hour journey from Fort William to Scafell Pike so you’ll have a good chance to regain the energy you blasted on Nevis. After a night’s trip in a bus, you’ll get to the smallest of these mountains. 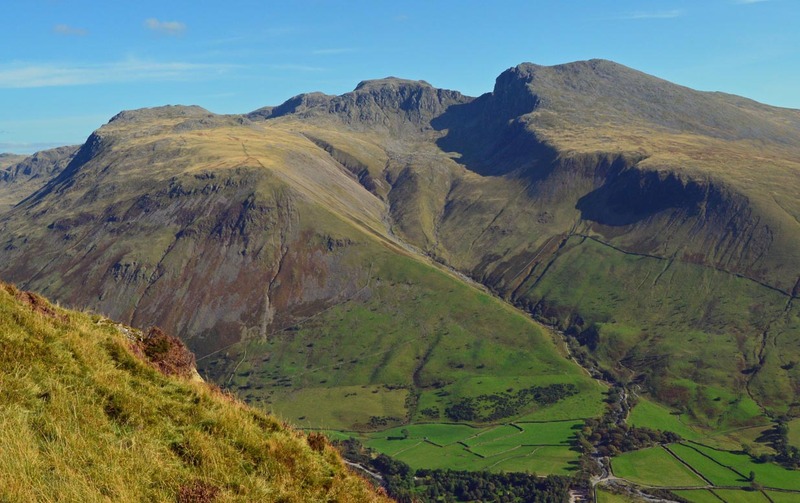 In the North of England’s peak district sits the king of English mountains, it is, of course, Scafell Pike at 978 m. The peak district is a wonderful and marvellous location, and often hailed as the birthplace of British climbing. This climb is approximately 4 hours up and down. Once again when you’re back on the bus its time for some R&R -it’s a 5 hour trip from the peak district to Snowdonia North Wales. Snowdonia’s unique biodiversity of animals and plants means that there are breathtaking views of all parts of the journey. 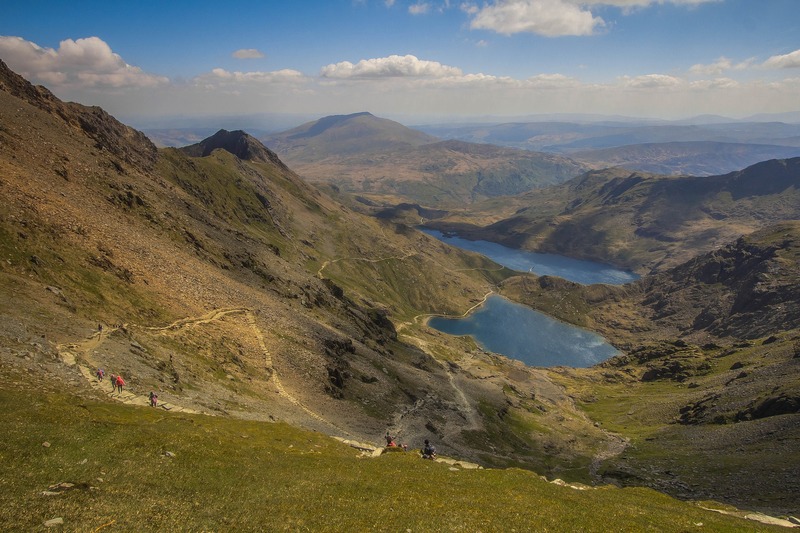 The wide range of paths available and its great accessibility means that Snowdonia is a brilliant path – we’ll be taking the PYG, Snowdon is a brilliant mountain which in itself has three peaks. The tallest of these peaks is the titular ‘Yr Wyddfa’. This peak stands at a gargantuan 1,085 m from the top you are treated to a truly outstanding vista. The ascent and descent will take about 4 hours in total. Some like to do the 3 peaks challenge from the foot of Ben Nevis to the Summit of Snowdon, and others like to get to the foot of the final mountain – there’s no clear answer so just have it your way!